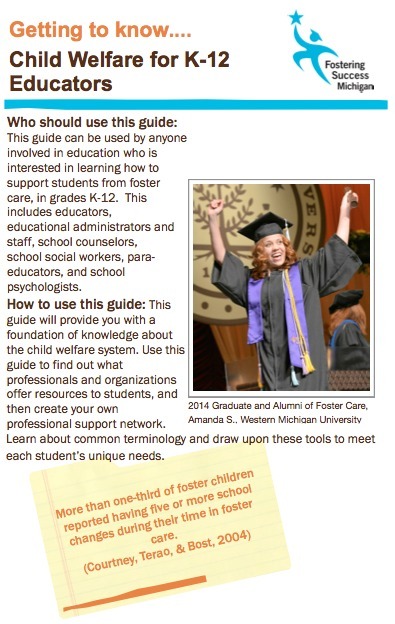 This guide can be used by anyone involved in education who is interested in learning how to support students from foster care, in grades K-12. This includes educators, educational administrators and staff, school counselors, school social workers, para-educators, and school psychologists. This guide will provide you with a foundation of knowledge about the child welfare system. Use this guide to find out what professionals and organizations offer resources to students, and then create your own professional support network. Learn about common teminology and draw upon these tools to meet each student's unique needs.